rachel berry. “There is nothing 更多 beautiful than seeing a person being themselves. 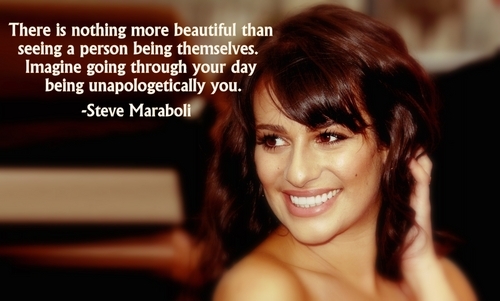 Imagine going through your 日 being unapologetically you.”-Steve Maraboli. HD Wallpaper and background images in the Rachel Berry club tagged: rachel berry glee lea michele fanart. This Rachel Berry fan art contains 肖像, 爆头, 特写镜头, 特写, and 爆头特写. There might also be 吸引力, 感染力, 辣味, 热情, 上诉火辣, 皮肤, 肤色, 裸色, 偏下体, 暗示裸体, skintone, 部分裸体, 隐含的裸露, 部分下体, and 隐含的裸体.